You are here: Home / Ambassadors / Meet Ellie! 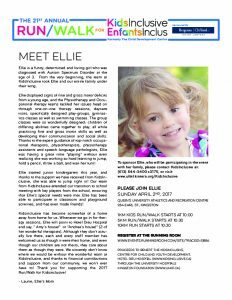 Join Ellie and her family on April 2nd and show your support for KidsInclusive! Register for the event at www.events.runningroom.com. There are now team and family registration options available online. You can also register in person at KidsInclusive or at The Runnng Room (255 Princess St.). 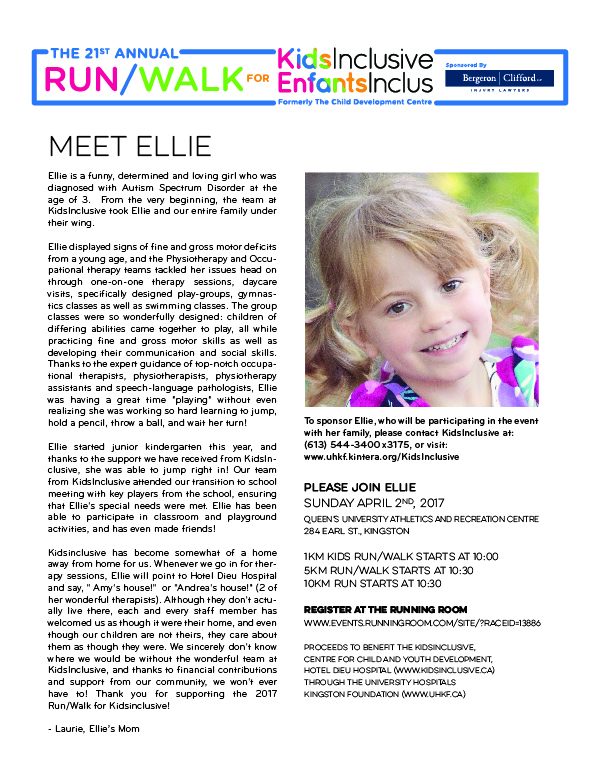 Check out Ellie’s fundraising page by clicking on her link at http://uhkf.kintera.org/KidsInclusive. Make a donation or create your own page to share with friends and family! http://kidsinclusive.ca/wp-content/uploads/2016/09/KidsInclusive-EnfantsInclus.png 0 0 Marianne McLure http://kidsinclusive.ca/wp-content/uploads/2016/09/KidsInclusive-EnfantsInclus.png Marianne McLure2017-02-22 14:29:122017-05-02 17:14:28Meet Ellie!